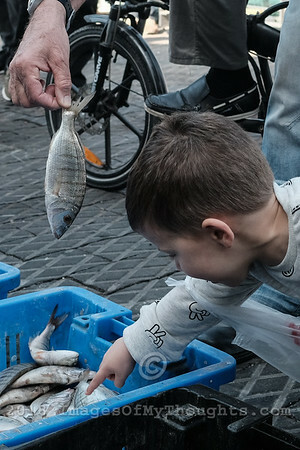 A young child displays wonder as he looks at fish on display for sale at the Jaffa Port. 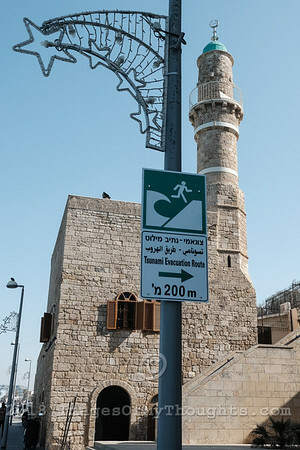 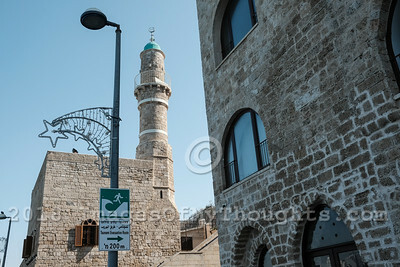 A sign indicates the closest tsunami evacuation route at the Jaffa Port. 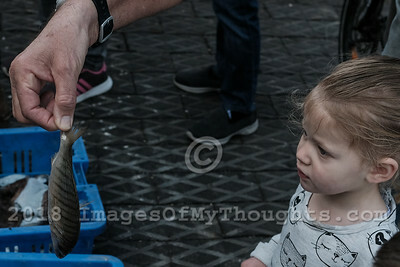 A young child displays wonder as she looks at fish on display for sale at the Jaffa Port. 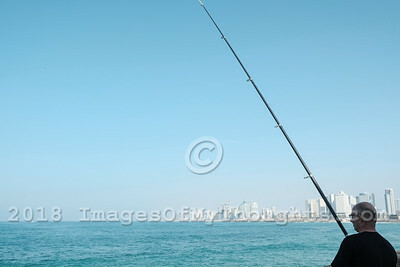 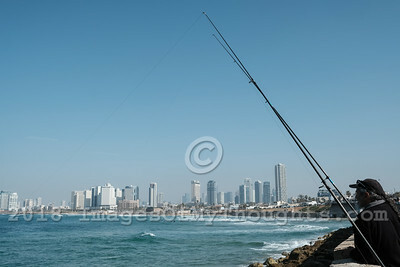 A fisherman tries his luck at the Jaffa Port with the Tel Aviv skyline in the background. 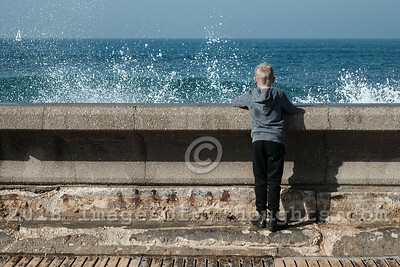 A young boy enjoys the spray of breaking waves at the Jaffa Port.